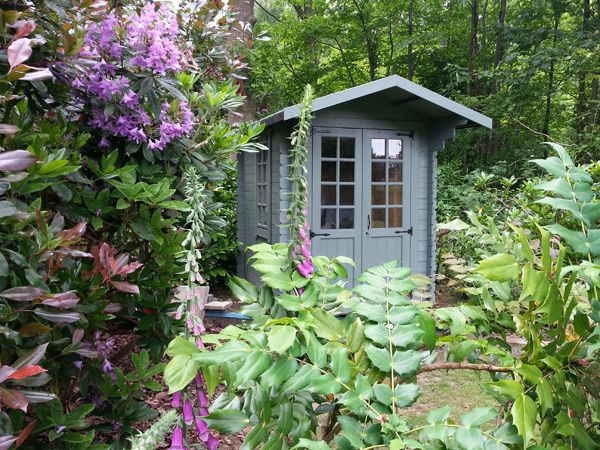 Summer houses are a great way to enhance your garden. While sheds are typically used for storage, many people use summer houses as an extra room – functioning as an extension of their home. They can really bring a garden together, acting as a design feature or centrepiece as well as a practical building to make the most of your outdoor space. Summer houses can be used as a place to focus on hobbies, concentrate on work, enjoy leisure time or even run a business. Popular uses for summer houses are: garden offices, workshops, home gyms, craft rooms, outdoor lounges, games rooms, and bars. They’re available in a wide variety of styles, with the choice of modern or traditional designs. Summer houses with lots of windows can also function as a potting shed – perfect for budding gardeners. While summer houses can be used year-round, it is common for them to be used for storage in the colder months. This increases their versatility, allowing you to store seasonal items in winter, such as garden furniture and outdoor toys. Tiger Tip: If you would like a building that functions as both an outdoor room and a storage solution, some summer houses also have a built-in storage compartment, such as the Tiger Multi Store. What are Summer Houses Made From? The most popular material for a summer house is wood. Wooden buildings can be manufactured from treated or un-treated timber. Summer houses are typically made from timber that has been treated with a temporary, water-based preservative for protection. We would recommend that the building is re-treated as soon as possible after delivery, and annually thereafter to prevent rot and decay. The underside of the floor should be treated before installation. Summer houses can also be pressure-treated. Pressure-treated timber is bathed in a vat of protective preservative under high pressure, which forces the treatment deep into the wood. The wood is then dried, with the chemicals in the preservative leaving a green tint – though this colour can vary depending on the type of preservative used. This method of treating is designed to prevent rot and decay and prolong the life of the timber, but this does not make the building waterproof. Regular treatment is still recommended to provide water-resistance and prolong the life of the wood. Some buildings do not come treated at all, so be sure to check this. There are many products available to treat your building; you can choose from clear, tinted or paint-based preservatives. This allows you to enhance or change the colour of your summer house while also protecting the timber. Summer houses are typically constructed from planed, shiplap tongue and groove timber. This provides a more attractive finish than rough-cut, or featheredge overlap boards, as well as increased durability. Make sure to also check what material the roof and floorboards are made from. Interlocking tongue and groove boards in the roof and floor increase the overall strength and sturdiness of a garden building. OSB, MFP, chipboard and similar materials are not as durable and can hold less weight than tongue and groove boards. They are also more susceptible to water-damage. Loglap upgrades are also available for many summer houses, providing the aesthetic appeal of a building manufactured from logs. 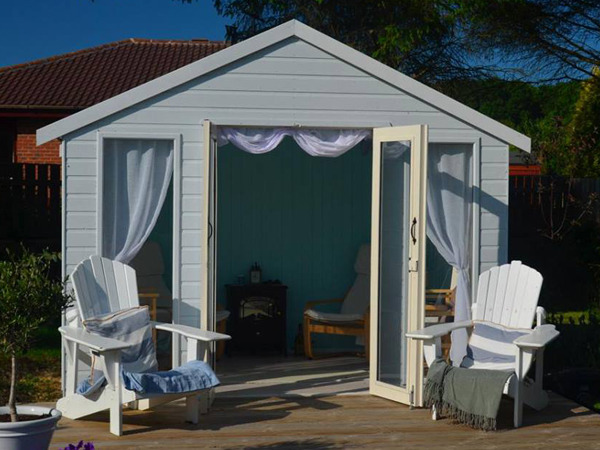 Tiger Tip: Our range of dip-treated Tiger Summer houses are all manufactured from 12mm tongue and groove shiplap cladding, with a warranty of 10 years. Our pressure-treated buildings feature 16mm tongue and groove shiplap cladding, with an extended warranty of 15 years. Are Log Cabins the Same as Summer Houses? Log cabins and summer houses are both garden buildings which are used as an outdoor room. People typically think of summer houses as seasonal buildings used mainly in warmer months, and log cabins as year-round garden escapes, though any log cabin can be a summer house. The increased thickness of a log cabin provides increased sturdiness as well as greater insulation - ideal for those who intend on using their buildings throughout the year without additional insulation or heat sources. Log cabin style summer houses are manufactured from interlocking logs usually available in a variety of thicknesses: our range of log cabins features 19mm, 28mm or 44mm logs. These logs tend to be untreated and the timber will require thorough treatment as soon as possible after receiving the building. Where Should I Position my Summer House? Once you have decided what type of summer house you would like, it is important to think about where you want to place it. If you’re seeking a suntrap, have a look at your garden on a sunny day to determine which areas get the most sunshine. In general, south-facing buildings will receive more hours of sunshine but be aware of any garden features (such as trees, fences, bushes or play-areas) which may cause shade. If you’re using your summer house as an office, gym or workshop, it may be better to not have direct sunlight, as this could cause glare while working or result in technology being exposed to excess heat. Many people choose to run electricity to their summer house so that they can have wired technology such as televisions, fridges or chargers. If this is something you would want to do, your building should be installed within reach of your mains electrics, or with a clear path for cable to run over or under the ground. This should be discussed with a qualified electrician. Another factor to consider is the view. If you’re thinking about a summer house with many windows, it would be better to be facing a more attractive area of your garden, if possible. Your favourite rose bush or well-landscaped water feature would certainly be a more appealing view than your neighbour’s fence. Octagonal or corner summer houses are perfect to provide panoramic views if you have a garden you’re particularly proud of. If you’d prefer a square or rectangular building, you can look out for designs which feature multiple windows. Tiger Tip: As we make all our buildings to order, there are opportunities to customise your summer house with additional windows. Also, you can upgrade your summer house to have opening windows – ideal for those warmer days. Will I Need Planning Permission for my Summer House? The summer house must not be over 30m2 internally. Additional rules apply to those who live on areas of interest (i.e. national parks) or in listed buildings. For more information, please visit the government Planning Portal. Tiger Tip: As buildings increase in size they tend to increase in height, but we can manufacture any garden building to be under 2.5 metres in height, if required. How Do I Prepare my Garden for a Summer House? All garden buildings must be installed on a base of adequate size. An incorrectly assembled base will have a negative effect on the life of your summer house, so it’s important to make sure it is a firm and level surface. Concrete, paving slabs, and timber bearers are the most common materials for a base. The base should be no smaller than the base of your chosen building, but not too large so water has a chance to pool if your garden is on a slope. Different manufacturers quote sizes differently, so be sure to confirm the building’s dimensions with the supplier. The technical section of a product page will usually contain exact dimensions. If you plan on walking to and from your summer house quite frequently, ensure that it is not in a location where repeated footfall could cause damage – such as through grass or tender plants. Consider installing your summer house by a path or walkway, if possible. This should definitely be a factor to keep in mind if you plan on using your summer house for storage in the colder months. You also don’t want to build a base too close to a boundary fence, as a sloped roof could cause water to run into a neighbour’s garden. Additionally, proximity to a wall or fence could result in your building being exposed to excess water, leading to damp, mould and timber damage. Make sure that you have enough space around your base so that you can regularly treat and paint your building. We would recommend a minimum distance of 18 inches is left around the summer house. Tiger Tip: Read our Build a Base guide for more information. 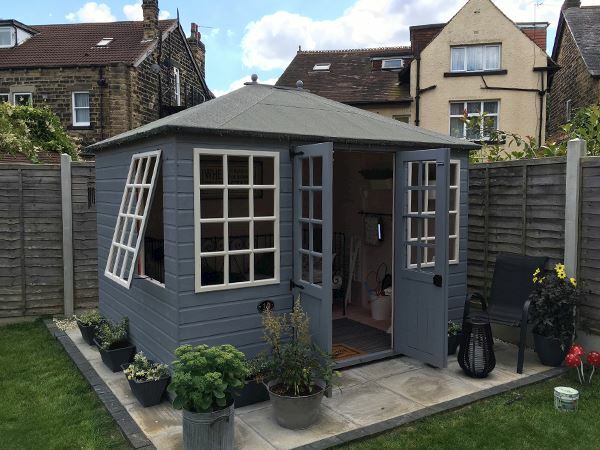 What Styles of Summer House Can I Have? Most summer houses have apex roofs. This allows for increased headroom through the centre of the building and provides the traditional summer house style with the dual pitched roof. Hip roofs are a more unique addition to a summer house and offer a different silhouette with plenty of charm. 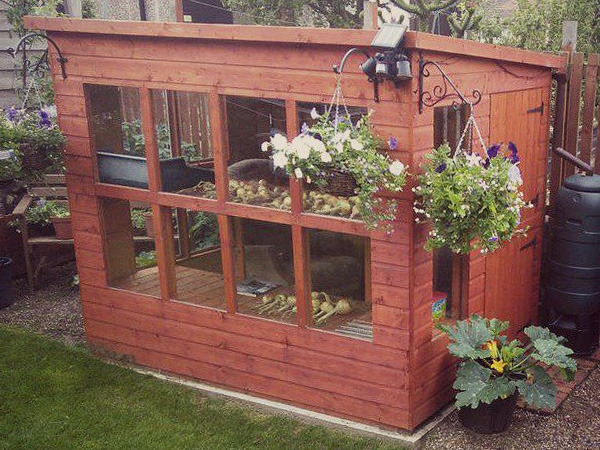 If you already have an apex shed, a hip roof is the ideal way to add variety to your garden. Pent roofs are also common on styles such as corner summer houses or studios. Once you’ve chosen your roof style, you can then choose between felt or shingles. Some companies do not supply felt as standard, so be sure to check this when purchasing. Roofing felt offers weatherproof protection for your summer house, helping to prevent the ingress of water which could lead to damage. High quality roofing felt will protect your building against wind, rain and snow. If you would like to upgrade your summer house, shingles are a great option to consider. They provide an attractive finishing touch to your building and tend to be of a more premium quality. They are usually available in a choice of colours. When it comes to your choice of windows, the main choice is between full pane or half glazed summer houses. Full pane windows make maximum use of available natural light – perfect as an outdoor room for entertaining or relaxing. 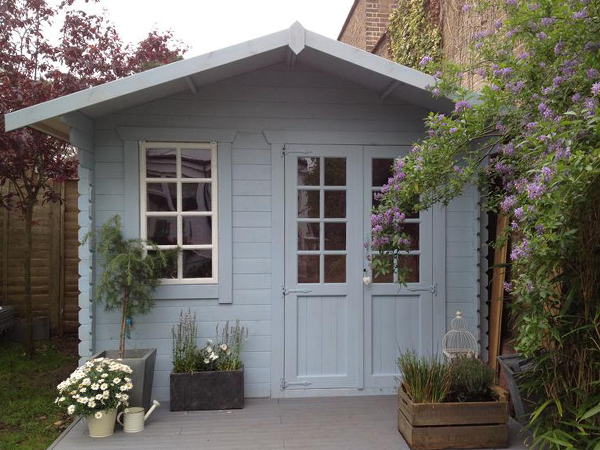 For a touch of ski-lodge chic, a summer house with a bay window is a stylish addition to any garden. Tiger Tip: Corner summer houses make excellent use of available space due to their design. How Do I Install my Summer House? While installing a summer house may seem like a daunting task, they are quite straight-forward to assemble. With moderate DIY knowledge and the appropriate tools, it is an achievable task that can be completed with relative ease. Installation should be carried out by at least 2 people, so that panels can be supported before they are secured with fixings. Many suppliers offer an installation service which can usually be added at the time of purchase. Tiger Tip: We recommend that you have at least the following for assembly – spirit level, hammer, adjustable spanner, handsaw, Stanley knife, stepladder, and sealant gun for the windows. How Can I Make my Summer House More Secure? Security should be a factor to consider when purchasing a summer house. If you’re using your summer house as a workspace, studio or entertaining room, there’s a good chance that it will be home to valuables. Some buildings will come with a lock and key as standard which you may find adequate for your security needs – but make sure to check. Some companies will also give you the opportunity to purchase additional security accessories. These include security bars, anti-vandal screws, alarms, and hasp and staples. Tiger Tip: Hanging curtains in your summer house not only works as a security feature by concealing the contents, they can also be a stylish feature to complement (or contrast!) your chosen colour scheme. What Accessories Can I Have for my Summer House? As well as security options, many companies will offer additional accessories to customise your summer house. If the style of the building permits, a window box would be an attractive addition, especially in spring and summer months when flowers will be in bloom. Shelving and staging are practical options which are ideal for adding personal touches to the summer house, such as photographs, books and ornaments. 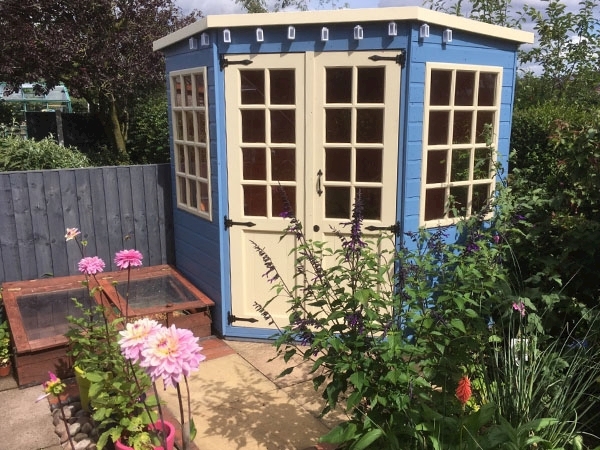 If you want to use your summer house as a potting shed, additional shelving is a great way to double the function of your building – perfect for herbs, tender plants, fruits and vegetables. Summer houses tend to come with attractive features for a stylish finishing touch. These can include decorative hinges, door pulls and wings. Tiger Tip: While most buildings will come with styrene as standard for the windows, many companies will give you the option to upgrade to glass or toughened glass.